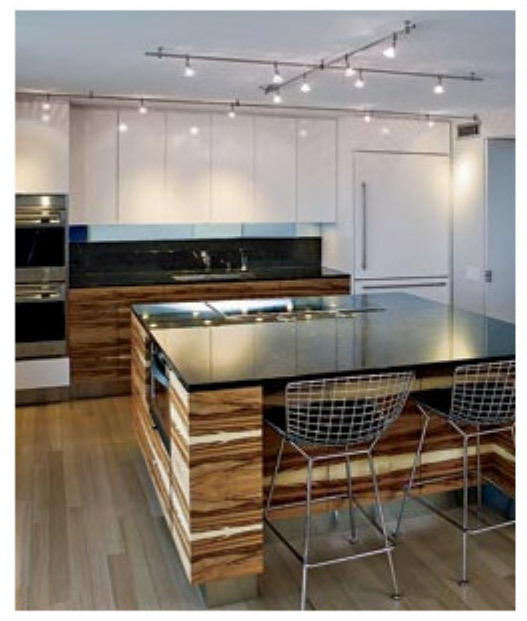 Magazine-ready kitchens and bathrooms don’t spring fully formed from an interior designer’s imagination. Or from an architect’s vision, no matter how inspired. 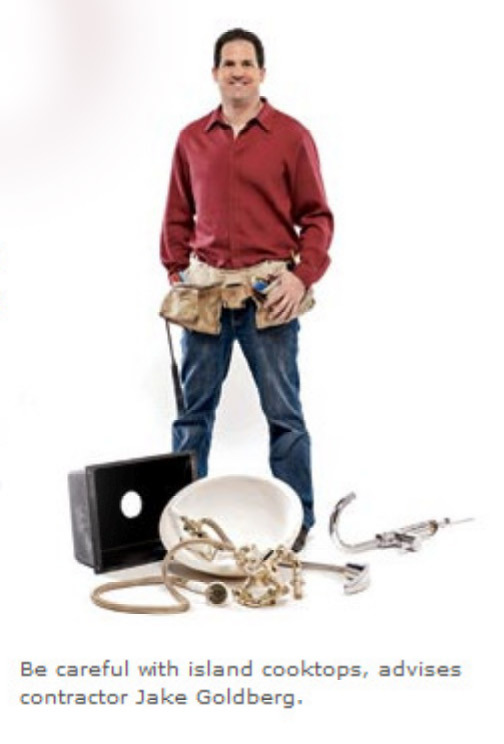 It’s a team effort, with a good general contractor as one of the most valuable players. 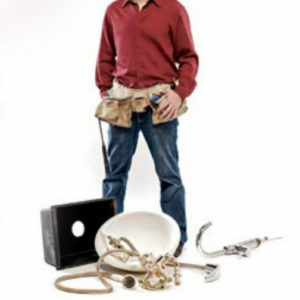 Having worked on high-end homes with high-profile architectural firms such as Brininstool + Lynch, Wheeler Kearns, and Vinci/Hamp for more than 21 years, contractor Jake Goldberg and his team (Goldberg General Contracting, gginc.net) have all kinds of experience under their belts (and accolades in their files). Goldberg, who grew up with an architect father and a designer mother, understands the symbiotic relationship necessary between the three professions. Be careful with island cooktops, advises contractor Jake Goldberg. 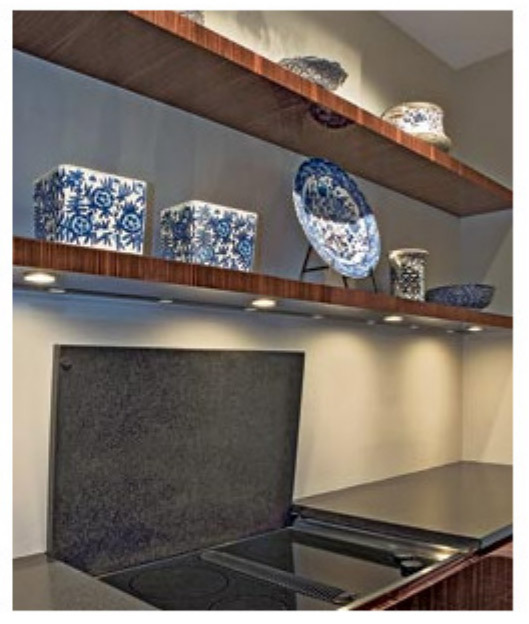 A slab of granite flips open to expose the stovetop. The cooking area should be as far away as possible from where people might congregate. Counter Intelligence The trend for kitchen counters is to get away from highly polished granite that embodies the flashiness of the 1980’s. 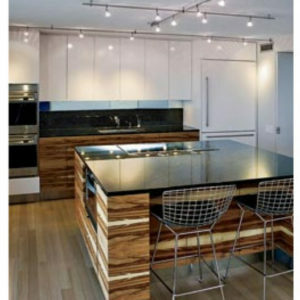 Honed surfaces are in vogue today – they have a nice rich texture, a matte feel, and are understated and sophisticated. There’s a lot of interest in concrete, but I’m not really a fan of it for counters. It’s usually more expensive than natural stone, and it’s less predictable. The little samples your designer shows you don’t reflect the end results, because so much depends on tinting, mixing, and pouring. You get fissures that you wouldn’t get with stone, and you have to be concerned that it’s properly protected from staining. “A countertop is judged by its porosity and given an NSF [National Sanitation Foundation] rating based on how antiseptic it can be kept. I like some of the manmade quartz materials like Silestone and CaesarStone, which have higher NSF ratings than granite. It’s real, ground-up stone mixed with resin, and if anyone is looking for a predictable, homogenous product for a big kitchen, manmade is the way to go, definitely. For a bachelor client who rarely cooked but frequently entertained, architects at Vinci/Hamp and Goldberg came up with a canny counter treatment. We wanted to hide all the appliances and give the space a gallery feeling. 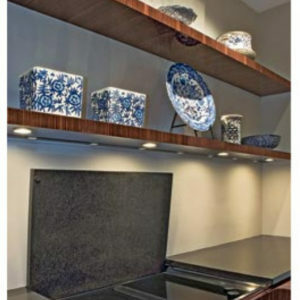 The stove is under a flush section of honed black granite, three centimeters thick, which is counter-weighted into the wall. It flips open with one finger, and has hydraulic pistons inside like the trunk of a car, so it closes slowly and smoothly. 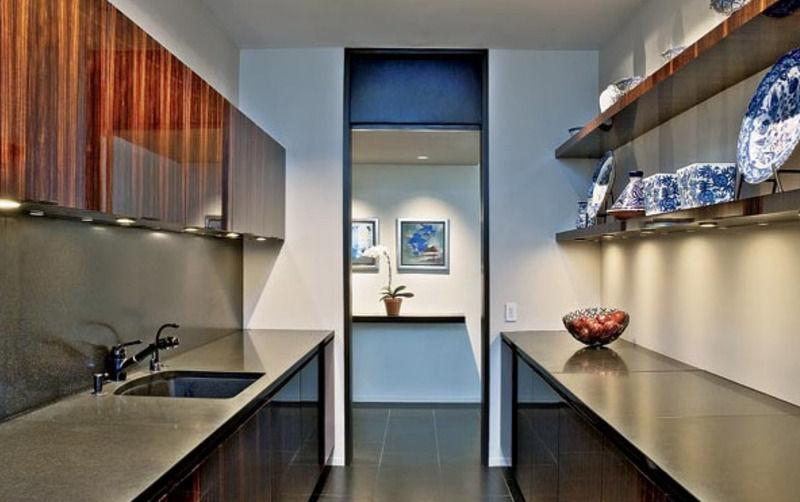 “Instead of unnecessary cabinets, there are hand-rubbed Macassar ebony-veneer shelves, perfect for displaying the client’s pottery collection. 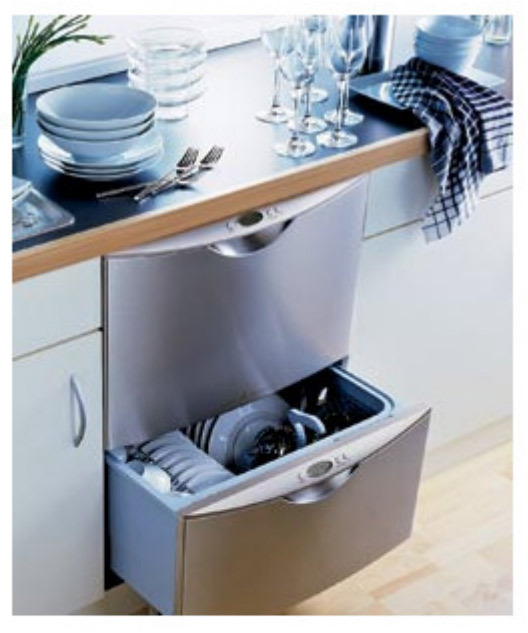 They save space and run smaller loads. They produce more steam than regular dishwashers, which may war adjacent millwork. 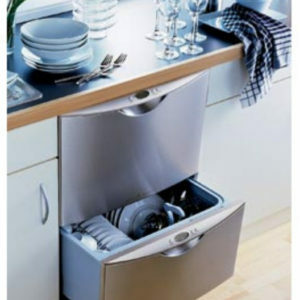 Another kitchen trend that Goldberg isn’t sold on is those sleek, drawer-style dishwashers. “They take up less space, and you can run smaller loads, but a lot of my clients are disappointed with them. They are overly complicated to use, don’t do such a terrific job of cleaning, and produce more steam than regular washer, which is going to warp any millwork around them. 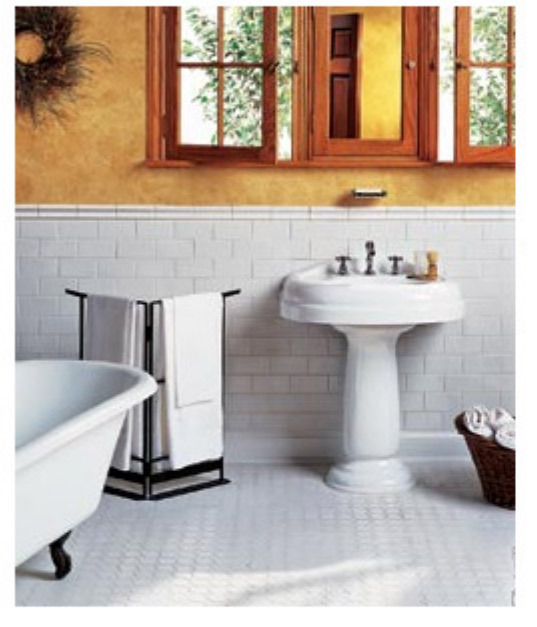 Their architectural appeal can give a bathroom a dramatic look. Installation tends to be tricky when the faucet has to come out of the wall. 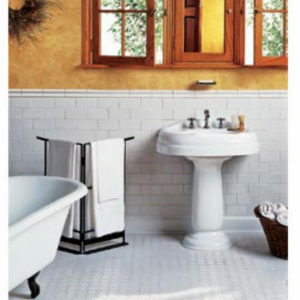 Tiling for Dollars “Subway tiles are very popular today, and while you can buy them at Ann Sacks or Waterworks, you can save a lot of money by going with comparable versions by Daltile or American Olean. Spend more on the fixtures, faucets, and accessory pieces, and let the tile be the background that allows those items to shine. Small tiles and mosaic work are much more time-consuming to install properly, and designers might not necessarily appreciate that if they are going for a certain aesthetic. But realize that as the tile format gets bigger, you’ll get much more economies of speed, and lower labor cost. We do all tile work in-house, because it’s difficult to find subcontractors that work to our level of standards. When the same team that puts up the tile backer board and does the wall prep is also laying the tiles, there is no finger-pointing if a surface turns out uneven and has to be redone. 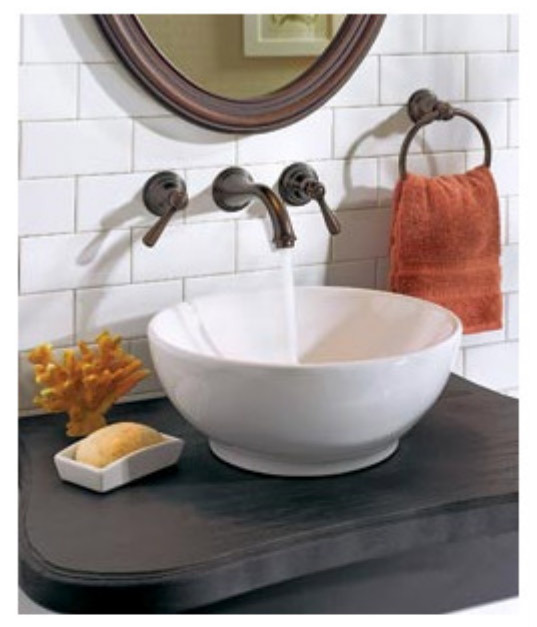 Consider the complexity of installation when choosing tile. 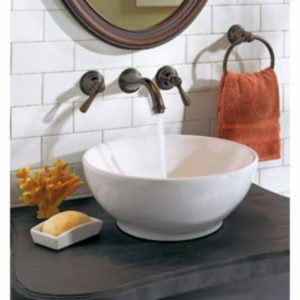 Inexpensive subway-style tiles (these are from Daltile) create much the same effect as pricier brands. 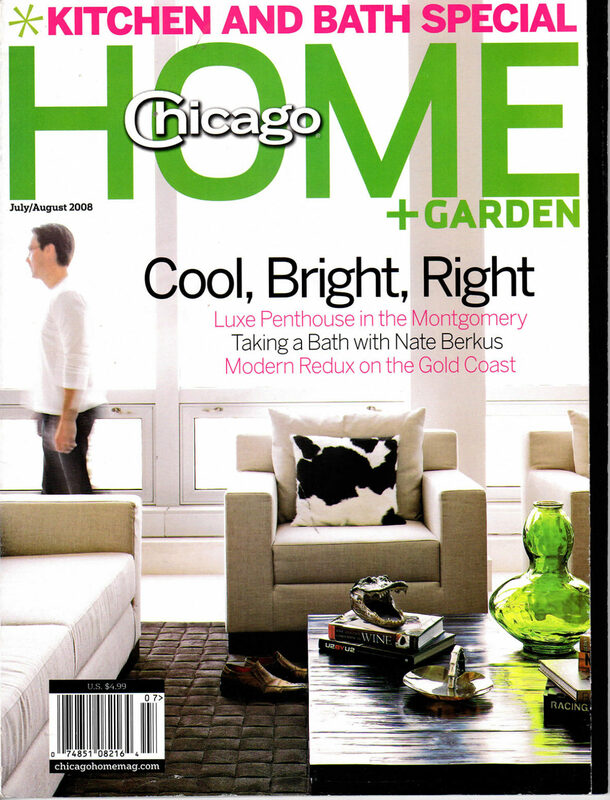 This article appears in the July – August 2008 issue of Chicago Home + Garden Magazine.